Pleasant, refreshing citrus taste. 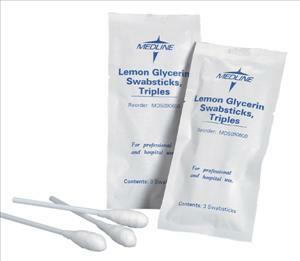 Foil packaging helps keep 4" swabs moist until use. Swabsticks.